This is a list of Games for Windows titles video games under Microsoft's Games for Windows label. With the closure of the Xbox.com PC marketplace in August 2013; no games were devolved for the platform past 2013. The clients software and the servers are still available. The Lord of the Rings Online: Shadows of Angmar 2007-04-24 Turbine, Inc. Turbine, Inc.
^ a b Prasuethsut, Lily (August 20, 2013). "Microsoft closing up shop on Games for Windows Live, Zune Marketplaces". TechRadar. Future US, Inc. Retrieved 31 March 2016. ^ "Age of Empires 3". Archived from the original on 2010-08-14. Retrieved 2010-08-05. ^ "Company Of Heroes". Archived from the original on 2010-07-23. Retrieved 2010-08-05. ^ "Lego Star Wars II". Archived from the original on 2010-07-24. Retrieved 2010-08-05. ^ "Microsoft Flight Simulator X". Archived from the original on 2010-07-30. Retrieved 2010-08-05. ^ "Flight Simulator X Standard". Archived from the original on 2010-07-25. Retrieved 2010-08-05. ^ "Zoo Tycoon 2". Archived from the original on 2010-07-25. Retrieved 2010-08-05. ^ "Zoo Tycoon 2 Zookeeper". Archived from the original on 2010-07-25. Retrieved 2010-08-05. ^ "Age of Empires III: Gold Edition". Archived from the original on 2010-03-15. Retrieved 2010-08-24. ^ "Age of Empires III: The Asian Dynasties". Archived from the original on 2010-03-18. Retrieved 2010-08-05. ^ "Bee Movie Game". Archived from the original on 2010-07-26. Retrieved 2010-08-05. ^ "BioShock". Archived from the original on 2010-08-06. Retrieved 2010-08-05. ^ "Clive Barker's Jericho for Windows - Clive Barker's Jericho Windows Game - Clive Barker's Jericho Computer Game". ^ "Crysis". Archived from the original on 2010-07-23. Retrieved 2010-08-05. ^ "Disney•Pixar's Ratatouille". Archived from the original on 2010-07-23. Retrieved 2010-08-05. ^ "Empire Earth 3". Archived from the original on 2010-07-27. Retrieved 2010-08-05. ^ "Gears of War for Windows". Archived from the original on 2010-08-26. ^ "Halo 2 for Windows Vista". Archived from the original on 2010-08-14. ^ "Hellgate: London". Archived from the original on 2010-07-24. Retrieved 2010-08-05. ^ "John Woo Presents Stranglehold". Archived from the original on 2010-07-24. Retrieved 2010-05-21. ^ "Lara Croft Tomb Raider: Anniversary". Archived from the original on 2010-07-24. Retrieved 2010-08-05. ^ "Lost Planet: Extreme Condition". Archived from the original on 2010-03-14. ^ ""Flight Simulator X: Acceleration" Now Available!". Archived from the original on 2007-10-11. ^ "Monster Madness: Battle for Suburbia". Archived from the original on 2010-07-25. Retrieved 2010-08-05. ^ "My Horse and Me". Archived from the original on 2010-07-25. Retrieved 2010-08-05. ^ "Shadowrun". Archived from the original on 2010-07-24. ^ "Civilization IV: Beyond the Sword". Archived from the original on 2010-03-17. Retrieved 2010-08-05. ^ "2K Announces Sid Meier's Civilization IV: Gold Edition // GamesIndustry.biz". ^ "Star Wars: Empire at War Gold Pack". ^ "Microsoft Store: Star Wars: Empire at War". ^ The Gold Pack also supports Games for Windows and is compatible with both Windows Vista and Windows XP. ^ "Star Wars: Empire at War: Gold Pack - PC - GameSpy". ^ "Supreme Commander". Archived from the original on 2010-07-24. Retrieved 2010-08-05. ^ "Supreme Commander: Forged Alliance". Archived from the original on 2010-10-21. Retrieved 2011-10-05. ^ "The Lord of the Rings Online: Shadows of Angmar". Archived from the original on 2010-07-24. Retrieved 2010-08-05. ^ "Thrillville: Off the Rails". Archived from the original on 2010-07-24. Retrieved 2010-08-05. ^ "Two Worlds". Archived from the original on 2010-07-24. Retrieved 2010-08-05. ^ "Viva Pinata for Windows". Archived from the original on 2010-07-24. ^ "World in Conflict". Archived from the original on 2010-07-25. Retrieved 2010-08-05. ^ "Zoo Tycoon 2: Extinct Animals". Archived from the original on 2010-07-25. Retrieved 2010-08-05. ^ a b c d e f g h i j Orry, James (June 25, 2008). "MS confirms 16 new Games for Windows titles". VideoGamer. Archived from the original on April 27, 2012. Retrieved August 9, 2008. ^ "`Quantum of Solace` videogame to support GFW Live". MI6 News. September 9, 2008. Retrieved 2008-09-22. ^ "Age of Conan: Hyborian Adventures". Archived from the original on 2010-07-23. Retrieved 2010-08-05. ^ "Alone in the Dark". Archived from the original on 2010-08-06. Retrieved 2010-08-05. ^ "Conflict: Denied Ops". Archived from the original on 2010-07-23. Retrieved 2010-08-05. ^ "Deer Hunter Tournament". Archived from the original on 2010-07-23. Retrieved 2010-08-05. ^ "Fallout 3". Archived from the original on 2010-08-05. ^ "Empire Interactive Unveils Fall 2008 Product Line-Up". IGN. July 22, 2008. Retrieved 2008-11-21. ^ "Frontlines: Fuel of War". Archived from the original on 2010-07-25. Retrieved 2010-08-05. ^ "Games for Windows Celebrates Two-Year Anniversary Like a Rockstar". IGN. September 22, 2008. Retrieved 2008-09-22. ^ Breckon, Nick (September 22, 2008). "GTA 4 Windows Named Games for Windows Live Exclusive". ShackNews. Retrieved 2008-09-23. ^ Unangst, Kevin (September 22, 2008). "A Niko Bellic Birthday". Gamerscore Blog. Archived from the original on September 25, 2008. Retrieved 2008-09-23. ^ "Kung Fu Panda". Archived from the original on 2010-07-24. Retrieved 2010-08-05. ^ "Tomb Raider: Underworld". Archived from the original on 2010-07-24. Retrieved 2010-08-05. ^ "Legend of the Galactic Heroes (Japan GFWL game release)" (in Japanese). Bandai Namco Games. October 16, 2008. Archived from the original on November 29, 2010. ^ "Legendary". Archived from the original on 2010-07-24. Retrieved 2010-08-05. ^ "LEGO Indiana Jones: The Original Adventures". Archived from the original on 2010-07-24. Retrieved 2010-08-05. ^ "Lost Planet Extreme Condition - Colonies Edition". Archived from the original on 2010-07-24. ^ "Flight Simulator X: Gold Edition". Archived from the original on 2010-07-25. Retrieved 2010-05-23. ^ "Grid". Archived from the original on 2008-03-20. ^ "Q&A: CDV's Kroll On 'Games for Windows' Effectiveness". ^ "Sacred 2 Fallen Angel Official Website". ^ "Sid Meier's Civilization IV: Colonization Official Website". ^ "Sins of a Solar Empire". Archived from the original on 2010-07-24. Retrieved 2010-08-05. ^ "Space Siege". Archived from the original on 2010-07-24. Retrieved 2010-08-05. ^ "Spider-Man: Web of Shadows". Archived from the original on 2010-07-24. Retrieved 2010-08-05. ^ "The Lord of the Rings: Mines of Moria". Archived from the original on 2010-07-24. Retrieved 2010-08-05. ^ "Official Website of The Witcher: Enhanced Edition". ^ "Turning Point: Fall of Liberty". Archived from the original on 2010-07-24. Retrieved 2010-08-05. ^ "WALL•E". Archived from the original on 2010-07-25. Retrieved 2010-08-05. ^ "Warhammer: Mark of Chaos - Battle March". Archived from the original on 2010-07-25. Retrieved 2010-08-05. ^ "Zoo Tycoon 2: Ultimate Collection". Archived from the original on 2010-07-25. Retrieved 2010-05-23. ^ "Age of Empires III Complete Collection". Archived from the original on 2010-08-24. Retrieved 2010-08-24. ^ "Batman: Arkham Asylum coming to LIVE". Archived from the original on 2010-10-28. Retrieved 2010-08-05. ^ "Batman: Arkham Asylum". Microsoft Games for Windows. Archived from the original on 2009-08-30. Retrieved 2009-09-05. ^ "Battlestations: Pacific". Games for Windows. Archived from the original on 2009-06-29. Retrieved 2009-05-20. ^ "Bionic Commando". Archived from the original on 2010-07-23. Retrieved 2010-08-05. ^ "Championship Manager 2010". Eidos Interactive. November 28, 2009. ^ "Codename Panzers Cold War". Games for Windows LIVE. May 9, 2009. Archived from the original on 2010-07-23. Retrieved 2010-08-05. ^ "DiRT 2 Roars to Life in Codemasters Studios". IGN. November 20, 2008. Retrieved 2008-11-21. ^ "Company of Heroes: Tales of Valor Expansion Pack". THQ. June 2, 2009. ^ "Empire: Total War". The Creative Assembly. Archived from the original on 2009-02-03. Retrieved 2009-02-04. ^ "Fallout 3 Official Website". Bethesda Softworks. Retrieved 2010-01-07. ^ "Football Manager 2010 Official Website". Sega. Retrieved 2009-10-07. ^ "FUEL". Codemasters. Retrieved 2008-08-19. ^ "Grand Ages: Rome". Kalypso Media. Archived from the original on 2009-06-22. Retrieved 2009-05-10. ^ "Ice Age: Dawn of the Dinosaurs". Games for Windows. May 10, 2009. Archived from the original on 2009-06-17. Retrieved 2009-05-10. ^ "Lego Indiana Jones 2: The Adventure Continues Official Website". LucasArts. October 7, 2009. Retrieved 2009-10-07. ^ "Mahjong Wisdom". Archived from the original on 2010-03-29. ^ "Majesty 2: The Fantasy Kingdom Sim". Archived from the original on 2010-07-25. Retrieved 2010-08-05. ^ "Games on Demand coming soon to Games for Windows – Live!". microsoft.com. December 3, 2009. Archived from the original on December 6, 2009. Retrieved 2009-12-01. ^ "Mini Ninjas". Archived from the original on 2009-04-14. ^ "MLB Front Office Manager". 2K Sports. January 26, 2009. Archived from the original on December 10, 2013. Retrieved 2009-01-26. ^ "Monsters vs. Aliens The Video Game in Games for Windows". Activision. March 24, 2009. Archived from the original on 2009-06-22. Retrieved 2009-03-24. ^ "Osmos". Archived from the original on 2010-04-21. ^ "Pro Evolution Soccer 2010 Konami Official Website". Konami. October 30, 2009. Archived from the original on October 6, 2009. Retrieved 2009-10-30. ^ "Prototype". Sierra Entertainment. April 28, 2009. Archived from the original on 2010-03-07. Retrieved 2010-08-05. ^ "Resident Evil 5". Archived from the original on 2010-08-22. Retrieved 2010-08-24. ^ "Risen RPG Official Website". Deep Silver. September 16, 2009. Archived from the original on March 6, 2009. Retrieved 2009-09-16. ^ "Rogue Warrior Official Website". ^ "Section 8". IGN. Retrieved 2009-09-05. ^ "Section 8". GameSpot. Retrieved 2009-09-05. ^ "Section 8". Microsoft Games for Windows. Archived from the original on 2009-09-07. Retrieved 2009-09-05. 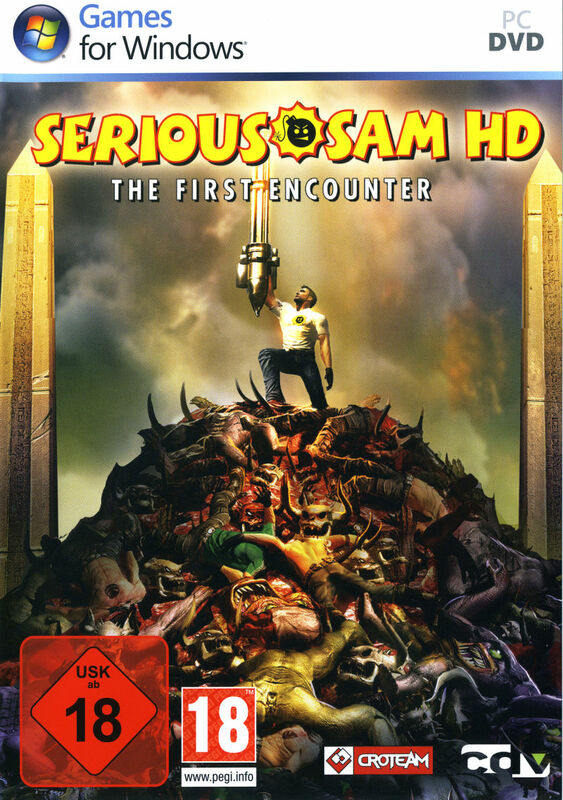 ^ "Serious Sam HD: The First Encounter german retail cover". ^ Press Release (September 30, 2008). "Shellshock 2: Blood Trails press release". Games Industry. Retrieved 2008-10-01. ^ "New Star Wars game for Games for Windows LIVE this October". ^ Press Release. "Stormrise - The first truly 3D RTS game". Sega. Archived from the original on 2012-11-11. Retrieved 2008-03-25. ^ Torres, Ricardo (April 28, 2009). "Street Fighter IV PC Hands-On". GameSpot. Archived from the original on December 10, 2012. Retrieved 2009-04-28. ^ "Supreme Ruler 2020 Gold". Archived from the original on 2011-09-02. ^ "The Last Remnant". Square Enix. June 14, 2008. Retrieved 2008-08-09. ^ "Transformers: Revenge of the Fallen". Games for Windows. May 16, 2009. Archived from the original on 2009-06-21. Retrieved 2009-05-16. ^ "Tropico 3". Kalypso Media. September 16, 2009. Retrieved 2009-09-16. ^ "Where's Waldo? The Fantastic Journey". Archived from the original on 2010-05-27. ^ "Wolfenstein". Archived from the original on 2010-08-27. Retrieved 2010-08-24. ^ "World of Goo". Archived from the original on 2010-08-22. ^ "X-Blades". Archived from the original on 2010-07-25. Retrieved 2010-08-05. ^ "X-Men Origins: Wolverine". Activision. April 28, 2009. Archived from the original on 2010-03-07. Retrieved 2010-08-05. ^ "3D Hunting 2010". Kalypso Media. Archived from the original on 2010-08-24. Retrieved 2010-08-24. ^ "Age Of Conan: Rise of the Godslayer Expansion". funcom/eidos. Retrieved 2010-01-30. ^ "Alien vs Predator". Sega. February 16, 2010. ^ "Alpha Protocol Official Website". SEGA. September 16, 2009. Archived from the original on September 15, 2009. Retrieved 2009-09-16. ^ "Alter Ego". Archived from the original on 2011-07-17. Retrieved 2010-08-04. ^ "Batman: Arkham Asylum – Game of the Year Edition". ^ "2K Games Announces February 9, 2010 Global Street Date for BioShock 2". EarthTimes.org. September 18, 2009. Retrieved 2009-09-18. ^ "Xbox360Achievements.org - BioShock 2 (Russia) Achievements". ^ Adam Pavlacka. "'Blacklight: Tango Down' (ALL) - Developer Interview". WorthPlaying. ^ "Hands On: Blacklight Tango Down". RockPaperShotgun. ^ "BlazBlue: Calamity Trigger". Archived from the original on 2010-12-19. ^ "CarneyVale Seals Deal With Microsoft's Games For Windows-LIVE". GameAxis. Archived from the original on 2010-05-10. ^ Jim Sterling. "CarneyVale: Showtime headed to PC". Destructoid. ^ "Crash Time 4: The Syndicate". Archived from the original on 2010-11-30. ^ dtp nils. "Not available on Steam? Too bad..." dtp entertainment. Anyway: We asked around and got the answer, that an UK-release (retail) of the game is planned for the first two weeks of October and will be published by PQube. ^ "Dark Void". CAPCOM. Retrieved 2009-05-12. ^ "Dark Void trying to be released for Games for Windows LIVE". Capcom Forums. ^ "Ask Capcom > Thread > Dead Rising 2 has GFWL boxart at GAME". Capcom-unity.com. Retrieved 2013-07-07. ^ "Giants's Demolition Company". Archived from the original on 2011-09-08. ^ "Boxshot of Disciples III: Renaissance for PC". Tothegame.com. Archived from the original on 2012-10-01. Retrieved 2013-07-07. ^ "Disciples III: Renaissance trailer jumps into gameplay". BigDownload. ^ "Elemental". Elementalgame.com. Retrieved 2013-07-07. ^ "F1 Championship 2010 Developer Website". Codemasters. Retrieved 2010-04-14. ^ "Fallout: New Vegas Official Forums". Archived from the original on 2012-07-10. Retrieved 2010-04-14. ^ "Giants's Farmer Simulator 2011". Archived from the original on 2011-09-07. ^ "Game Room". Archived from the original on 28 March 2010. Retrieved 24 March 2010. ^ "Grand Ages Rome - Gold Edition". Archived from the original on 2011-04-08. ^ "Grand Theft Auto IV: Complete Edition | PC Games | at Mighty Ape NZ". Mightyape.co.nz. Retrieved 2013-07-07. ^ "Grand Theft Auto: Episodes from Liberty City Announced for PS3 and PC". Kotaku. ^ "PS3 Episodes From Liberty City confirmed". CVG. ^ "Just Cause 2". Archived from the original on 2012-03-07. Retrieved 2009-08-21. ^ "Lego Harry Potter: Years 1-4 Official Website". Archived from the original on 2009-12-13. ^ "Ask Capcom > Lost Planet 2 PC thread". ^ "M.U.D. TV Official Site". ^ "Metro 2033 Survival Horror". Archived from the original on 2010-01-18. ^ "Napoleon: Total War continue the TOTAL WAR saga". ^ "Pro Evolution Soccer 2011". Archived from the original on 2010-11-27. Retrieved 2011-01-06. ^ "Sid Meier's Civilization IV: The Complete Edition". Archived from the original on 2010-08-23. ^ "Sins of a Solar Empire: Trinity Pack". ^ "Spider-Man: Shattered Dimensions". Archived from the original on 2010-09-08. ^ "Star Wars: the Force Unleashed II Video Game Trailer, E3 2010: Exclusive Betrayal Cinematic Trailer HD". ^ "Tropico 3: Absolute Power". Archived from the original on 2010-07-19. ^ "Tropico 3: Gold Edition". ^ "Vancouver 2010: The Official Videogame of the Winter Olympic Games". olympicvideogames.com. Archived from the original on 2010-05-29. ^ "Warhammer 40,000: Dawn Of War II - Chaos Rising". 2010-03-12. ^ "Warhammer 40,000: Dawn Of War II - Gold Edition". 2010-03-12. ^ "Age Of Empires Online official website". Archived from the original on 2010-08-22. ^ "Robot Entertainment developer website". Archived from the original on 2010-08-20. ^ "Arkham Has Moved". Archived from the original on 2010-08-19. ^ "BRINK". Bethesda. May 29, 2009. Retrieved 2009-05-29. ^ "Cargo: The Quest for Gravity". ^ Alice O'Connor. "Dirt 3 Unveiled". ShackNews. ^ a b Ludwig Kietzmann. "Dirt 3, Operation Flashpoint: Red River due in Q2 2011". joystiq. ^ "Dungeons official site". Archived from the original on 2011-02-22. ^ "Dungeons: The Dark Lord". Archived from the original on 2011-02-22. ^ "Fable III at Games for Windows - LIVE and XBOX360 exclusive". Microsoft Studios. Archived from the original on 2010-05-22. Retrieved 2010-05-22. ^ "Hunted: The Demon's Forge Official Website". ^ McWhertor, Michael. "Hunted: The Demon's Forge, A Dungeon Crawl For The Gears Age". Kotaku. Retrieved 2016-05-23. ^ "Lego Harry Potter: Years 5–7 site at LEGO.com". ^ "Lego Pirates of the Caribbean: The Video Game site at LEGO.com". ^ "LEGO Star Wars III Trailer". ^ "Operation Flashpoint: Red River To Bring Infantry Co-Op Experience to Theatre of War". Archived from the original on 2010-08-26. Retrieved 2010-08-09. ^ PES-Team (2011-09-01). "Cristiano Ronaldo Kicks Off PES 2012 Campaign". Pro Evolution Soccer 2012 official site. ^ Rodrigo Villanueva (2011-09-08). "Portada completa de PES 12, revelada" (in Spanish). LevelUp.com. ^ "Rugby League Live". Archived from the original on 2011-07-06. Retrieved 2011-05-15. ^ "Section 8 PC Beta". ^ "Section 8 : Prejudice". Archived from the original on 2010-10-17. ^ "Shadow Harvest: Phantom Ops". ^ "Giants's Ski Region Simulator 2012". Archived from the original on 2011-09-01. ^ "Super Street Fighter IV: AE official website". ^ "The First Templar official site". ^ "The Lord of the Rings: War in the North". ^ "Virtua Tennis 4 - Games for Windows Marketplace website". ^ Ramsay, Randolph (June 16, 2009). "AFL heading to 360, PC, PS3". GameSpot. Archived from the original on 2012-12-08. Retrieved 2009-06-17. ^ "Australian Rules Football". Big Ant Studios. Archived from the original on 2009-06-05. Retrieved 2009-06-17. ^ Nathan Grayson (2012-04-25). "Arkham Horror: Harley Quinn's Revenge DLC TBC On PC". Rock, Paper, Shotgun. ^ Jason Schreier (2012-04-11). "Dark Souls 'Prepare To Die' Edition Coming to PC On August 24". Kotaku. ^ Nathan Grayson (2012-04-11). "Prepare For GFWL In Dark Souls: Prepare To Die". Rock, Paper, Shotgun. ^ "DiRT 3 Complete Edition expands the award-winning off-road racer with cars and routes". Codemasters. 2012-02-09. ^ "Double the Fun with the Fallout 3 & Oblivion Double Pack". Bethesda Blog. 2012-02-17. ^ "Fallout: New Vegas Ultimate Edition Arrives in February". BethBlog. 2011-11-03. ^ "Gotham City Impostors". Archived from the original on 2011-08-02. Retrieved 2011-07-23. ^ "Gotham City Impostors Trailer". ^ "Shadow Planet Productions announced Insanely Twisted Shadow Planet for PC". ^ Capcom by standard, utilizes Games for Windows - LIVE for their current PC games. ^ "Street Fighter X Tekken". ^ "Test Drive: Ferrari Racing Legends". Atari.com. ^ joar (2012-11-28). "Ace Combat Assault Horizonn Coming to PC in Q1 2013". gamersyndrome. Archived from the original on 2013-06-03. ^ "Age of Barbarian". Crian Soft. Archived from the original on 2014-01-06. ^ "Armageddon". Crian Soft. Archived from the original on 2014-01-06. ^ "Dishonored: Game of the Year Edition Announced". BethBlog. 2013-09-12. ^ "Ms. Splosion Man". Microsoft. 2013-04-03. Archived from the original on 2013-04-16. "Games for Windows Marketplace". Archived from the original on December 16, 2012. Retrieved September 11, 2012. This page was last edited on 25 April 2019, at 06:05 (UTC).